The Grand hotel is our official convention partner hotel. The Grand has graciously given us ultra low rates for guests attending the con. The hotel is just over a mile away from the convention center. 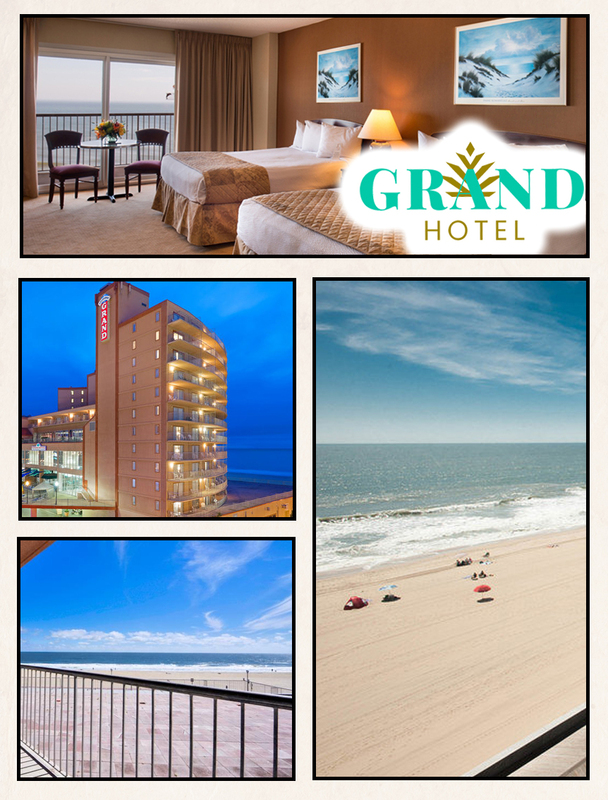 The Grand Hotel and Spa is located right on Ocean City's spectacular boardwalk, has several restaurants, a bar, spa treatments, and more all right on the premises. In the winter Ocean City is still open for business! Come and join us at the con on Saturday, go out and enjoy the night life Saturday night. Stay over in the hotel then wake up on Sunday and walk the boards, stroll on the beach, hit an arcade, try your luck with some mini golf, or visit the outlets in West Ocean City and get in the rest of your holiday shopping. With rooms this nice, at such a low price, why not take a mini vacation with us? You MUST CALL the hotel to receive the convention special pricing. Mention code "COMIC19" when booking to receive this special rate! *Prices listed do not include taxes. Contact hotel for full details.